Talking about F1: The F1 blog: F1 2012 Season Preview: Marussia - Moving in the right direction or a false dawn? 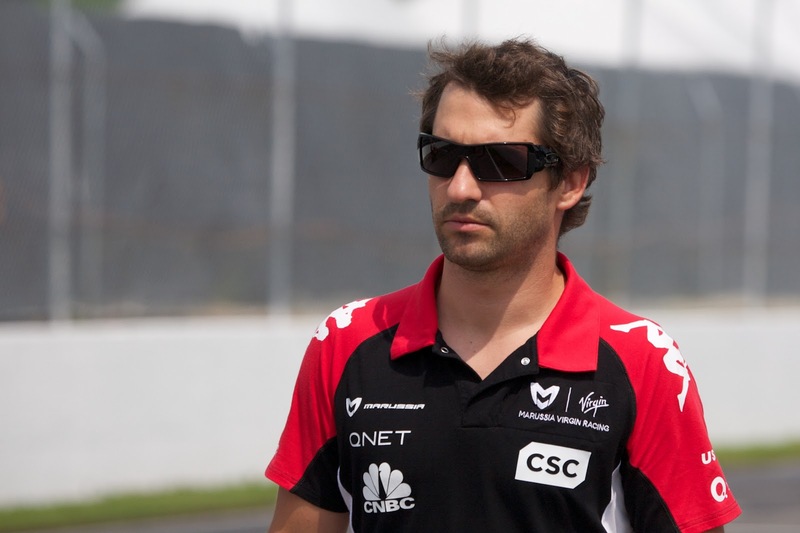 F1 2012 Season Preview: Marussia - Moving in the right direction or a false dawn? This year should represent something of a clean slate for Marussia. Much changed in mid-2011, with their previous unorthodox approach tempered, and there are signs that they're beginning to move in the right direction. But, despite all of this, preparations for the start of the 2012 season have not gone to plan. The team entered the sport in 2010 as a collaboration between F3 Euroseries squad Manor Motorsport and Wirth Research. Prior to their debut the team distinguished themselves mainly via a couple of avenues: one is they acquired the name Virgin Racing after the Virgin Group acquired the title sponsorship rights, the other is they raised a lot of eyebrows by stating that the car would be designed without use of wind tunnels, instead using only CFD computer simulations of airflow. Times have been difficult since. Their debut year was tricky enough (and contained an egregious error by the team, where they had to admit that their fuel tank was too small for the car to last a race distance without swingeing fuel-saving). And, worse, 2011 represented a step backwards from that, falling even further behind the pace as well as further behind the progress of Lotus who'd entered the sport at the same time as they. While all this was going on, it wasn't clear how much Virgin were contributing to the team financially, and their input into and interest in the project seemed to wane as progress proved elusive. Russian sportscar manufacturer Marussia purchased a controlling stake in the team in late 2010, and in 2012 'Virgin' won't feature in the team's name at all. Partway into the 2011 season with the team going downhill they decided to apply the brakes. Marussia facilitated the buying out of the Wirth half, and the deal allowed the whole team to move to one facility, at Wirth's base at Banbury in F1's silicon valley (previously the design had taken place there and the management of the team had been at Manor's base in Dinnington, Yorkshire). Further, the CFD-only policy of Wirth, an idea ahead of its time it seems, was abandoned, and a technical tie-up with McLaren was announced which will ensure that Marussia cars will see a wind tunnel. And star technical brain Pat Symonds, who has won championships with Michael Schumacher and Fernando Alonso at Benetton/Renault, is feeding into the team as technical consultant (he's still banned following 'Crashgate' so can't be more than a 'consultant'), as well as led the design of the 2012 car. And Symonds has developed a new technical department at the team, including the recruitment of 20 new designers. So far, so encouraging. But the problem is that their 2012 pre-season seems barely better than those of previous years (indeed you could argue it's worse). The MR01 did not turn a wheel in official testing, failed crash tests are the culprit, so vital running and development time has been lost. And the car won't feature KERS, the team taking the decision that for now the millions required for it would be better spent elsewhere rather than on the 0.4 seconds a lap benefit of KERS. 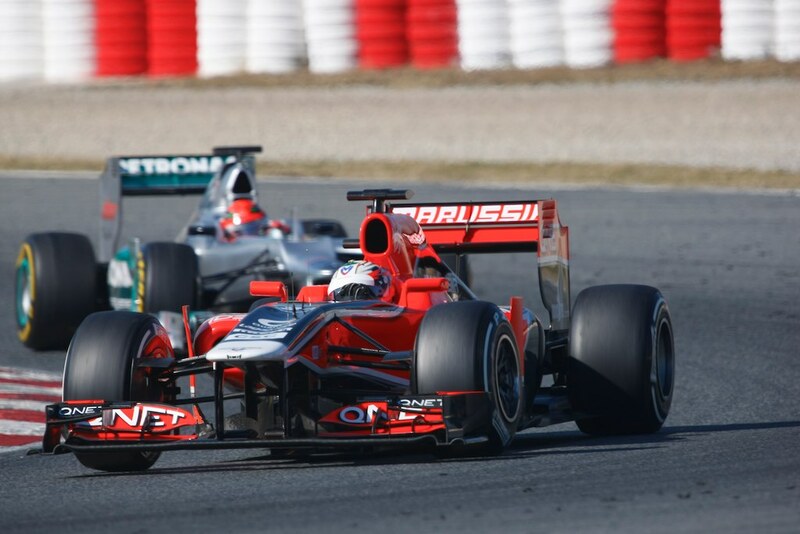 There are plenty of reasons to think that Marussia are beginning to move in the right direction. Let's hope that their pre-season woes only represent a stumble, rather than more of the same. Timo Glock, during idle moments, must wonder how on earth he ended up in this situation. In his first two years as a permanent F1 runner with Toyota he showed that he's a perfectly capable performer, able to lead races and take podium finishes. And now, at the age of 30 - theoretically around his peak - he enters his third season at Virgin/Marussia, where he's barely had the opportunity to show his talent. It's very difficult for Glock to distinguish himself where he is. What's going on at the back of the pack doesn't often turn the heads of team bosses at the best of times, and Glock has usually found himself in a competitive vacuum back there: far behind the Lotuses but far ahead of his team mate and HRTs. You suspect that Glock, like Heikki Kovalainen, is getting as much as he can out of his mount. Indeed, he's fought with the cars ahead on the very rare occasions that circumstances have allowed, such as Korea in 2010 and Valencia, Silverstone and Hungary last year. But even if Marussia were to step forward this year it's hard to see how it won't be broadly more of the same for Glock. He does apparently have some kind of bigger team release clause in his contract, and many midfield teams could do a lot worse than look at him. This problem is that because he's run at the back for too long they may have simply forgotten about Timo Glock. Charles Pic, the latest in the rotating cast of Glock's team mates at Marussia, is certainly well-connected in French motorsport. Former F1 driver Eric Bernard is his godfather, and it was Bernard who ignited Pic's interest in racing by buying him a go-kart for his 12th birthday. Olivier Panis is Pic's mentor, and Charles Pic's grandfather, with a lucrative family business, sponsored Bernard and Panis when they were in F3. With such a close proximity of wealth, it may not be a huge surprise that Pic's selection as a Marussia race driver owes something to money he is bringing. Still, it would be wrong to dismiss Pic as someone who's simply bought his way through the ranks. Granted, there are no championships won in the junior formulae for him to point to, but he did do well in GP2 last year, coming fourth in the final table (and he could have been higher but for mechanical retirements) and being the highest average qualifier. So, there is innate speed there. This year he has a strong yardstick in team mate Glock, but if he can trouble him regularly enough then he will impress many onlookers.